The first thing UE does after switching on is to synchronize to each frequency and check whether this frequency is from the right operator to which it wants to connect to. UE does this by going through very initial synchronisation process. Once synchronized, UE reads the master information block and System information blocks to check if this is the right PLMN. Lets assume it finds that PLMN value to be correct and so UE will proceed with reading System information block 1 and System information block 2. The next step is known as Random Access Procedure in which the network for the first time knows that some UE is trying to get access and the network provides temporary resources to the UE for initial communication. 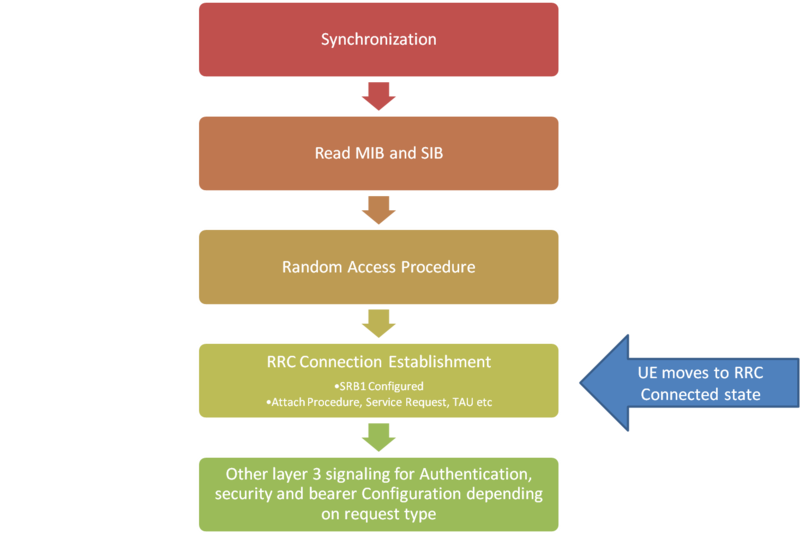 Once the Random Access procedure is successfully completed, next is RRC connection establishment procedure which configures SRB1 for UE and let UE inform the network what exactly it wants i.e. Attach, Service Request, Tracking area update etc. RRC connection establishment is 3 way handshake procedure comprising of following messages. The RRC connection setup message contain configuration details for SRB1 so that later messages can be transferred via SRB1. 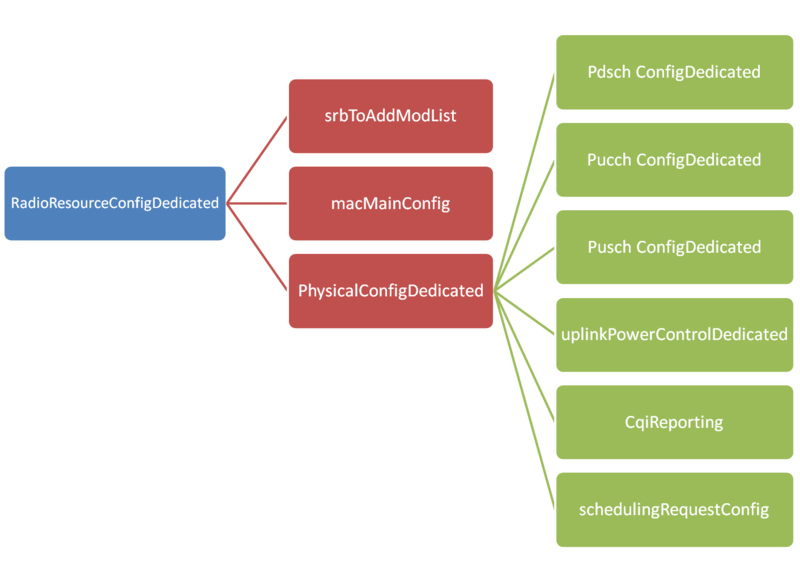 Remember the SRB2 is always configured after the security activation. 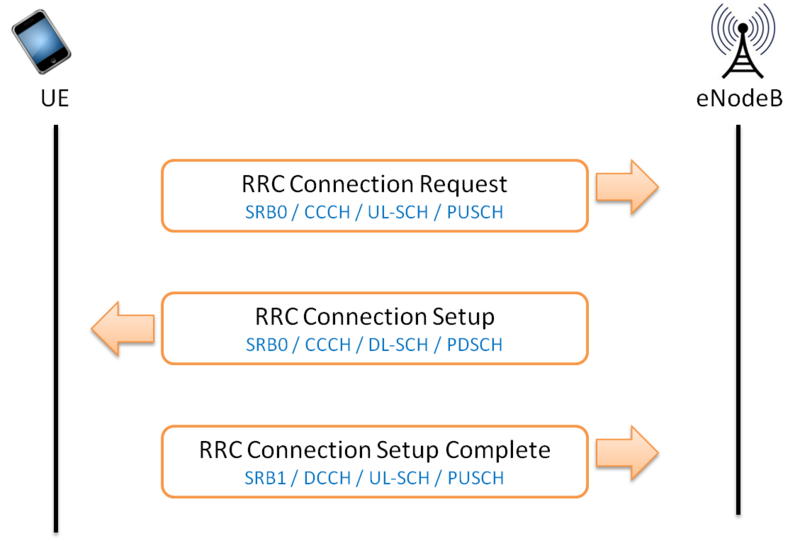 RRC Connection setup message include default configuration for SRB1 but can also include configuration information for PUSCH, PUCCH, PDSCH physical channels, CQI Reports, Sounding reference signal, antenna configuration and scheduling requests. After receiving the RRC Connection setup message, UE complete the three way handshake procedure by sending 'RRC Connection setup complete' message and moves to RRC Connected mode. 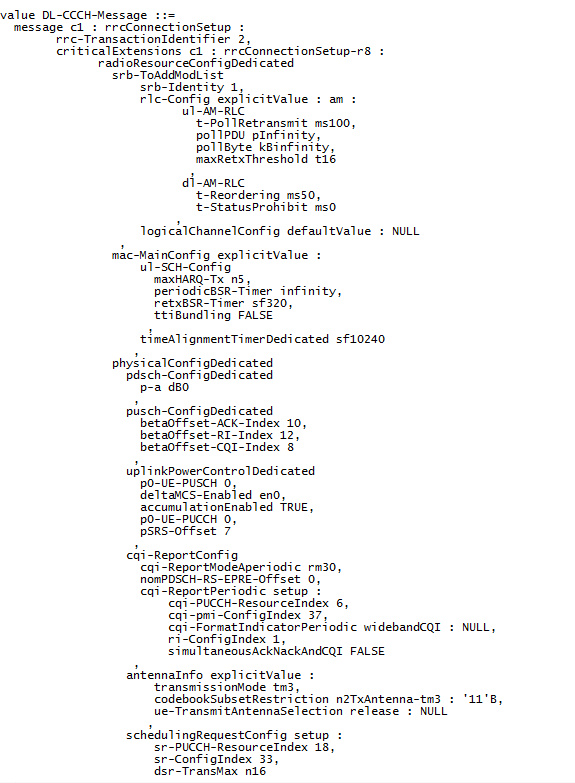 dedicatedInfoNAS: This IE is used to transfer UE specified NAS layer information between network and UE. This is great information Thanks for sharing with all together. I read so many article about RRC Connection but this one is the best. thanks for this informations !!! !